Recently I had the pleasure in chatting with Laura Rundell, CVA, the Volunteer Coordinator at LifeBridge Community Services in Bridgeport, Connecticut. VPT: Laura, tell us a little bit about your background in the volunteer management sector. L: I’ve been involved in the volunteer sector since 1999. During grad school where I received my Master’s in History, I worked part-time for the Park service. I have also worked for several other organizations, including the Spellman Museum of Stamps and Postal History in Weston, Massachusetts, the Phipps Conservatory in Pittsburgh. Pennsylvania and I am currently the Volunteer Coordinator at Life Bridge Community Services in Bridgeport, Connecticut. VPT: And how long have you been at Life Bridge? L: I’ve been here since 2014. VPT: What brought you to volunteer services? L: It was at the Phipps Conservatory that I began to fall in love with volunteer management. I had come from a smaller organization to Phipps and found out they had over 500 names on their volunteer list, so the scope changed dramatically. VPT: And how did you come to be at Life Bridge? L: I moved to Connecticut and landed at Life Bridge in 2014. VPT: You’ve had a number of experiences thus far. What have they taught you? L: Not all my experiences were perfect. An already challenging job is much harder when the goals for the program and the roles for volunteers are less defined. I appreciate where I am as a volunteer manager now and loved my time at Phipps because they support the volunteer program and there are clear expectations and specific roles for volunteers. VPT: Can you give us an example? L: Yes. When I was invited for an interview at Life Bridge, I noted that the person who would be my supervisor had the CVA credential. It was clear they had put thought into their volunteer program and knew what it would take to make it successful. In my third interview, I was sitting at a table with all of the staff who would utilize volunteers in their programs. I was really impressed that they put so much thought and effort into recruiting for this position and knew then it was an organization I really wanted to work for. I was delighted to be offered the position. L: And, just recently, our Executive Director asked for a volunteer to be involved in researching best practices for a project. That shows commitment to engaging volunteer help at all levels of our organization. VPT: I’ve noticed you are weighing in on articles and blog posts more and more and that is great; we need more voices. 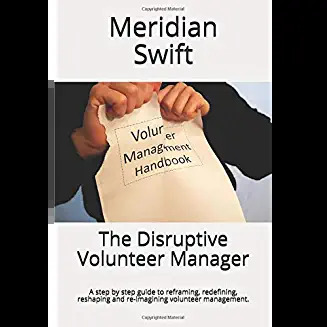 What do you feel is the future of volunteer management? L: I see so many non-profits stretched thin and need more volunteers to take on a greater role. VPT: That’s a good thing for increased volunteer participation, right? L: Yes it sure is, but I think the number one challenge for most volunteer coordinators is recruitment. It will be an even bigger challenge moving forward to keep filling those roles with qualified and committed volunteers. It means we all have to “step up our game”. VPT: Are you seeing changes in the volunteers who are stepping forward? L: There are more episodic volunteers, more students who are seeking career experience, and more individuals in the midst of a career change seeking resume enhancers and references. There are also more opportunities to recruit corporate and college groups. VPT: Are there inherent challenges with episodic volunteers? L: We have had some really great short-term volunteers. Not every role is appropriate for someone who may only be with us a short time though. Some roles require clearances that can take 4 weeks to get back, so we really hope the person in that role can stay with us for at least a year. We’ve also gotten some really great college and corporate groups. However, walking that balance between offering the flexibility large groups may require and making it a meaningful opportunity that adds value to the organization is a challenge. VPT: What have you discovered about recruiting volunteers that you can share with us? L: You have to respond promptly when an applicant contacts you. When I relocated to Pittsburgh from Massachusetts, I contacted several organizations to volunteer and never got a return call. That was really frustrating. After that first contact though, the applicant has to be invested — it has to be their choice to move forward. I have learned you can waste a lot of time spinning your wheels if an applicant doesn’t respond to a request to meet with you, doesn’t show up for an appointment or doesn’t follow up afterwards. VPT: Changing direction, do you feel as though volunteer managers are starting to build a community with one another? L: By the time I became a CVA, I was linked to a community of volunteer managers. 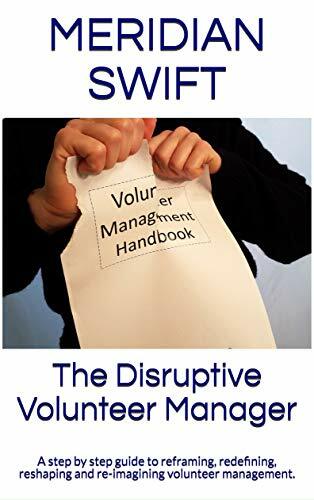 But, often, a volunteer manager is a department of one and is isolated. When I was in Pittsburgh, I reached out to similar volunteer organizations and we volunteer managers would get together a couple of times a year to have lunch and share best practices. Here in Connecticut, we have Volunteer Square and they have done a wonderful job in creating a Professional Development Series for volunteer managers. I’m honored to serve on their advisory board. VPT: So, there are some steps being taken. L: You know there is an Association of Fundraising Professionals (www.afpnet.org/) for those who are in the fundraising end but we have no association for volunteer managers. I wish we had one nationwide organization. Not everyone can attend a national conference, but if we had a national association, we could have branches in our areas that we could connect with and could set national standards for our profession. VPT: What do you see as future challenges for our profession? L: As non-profit funding continues to decline, there will be more and more dependence on volunteer programs to pick up the slack and organizations will be utilizing volunteer services more. As everyone scrambles for a piece of the ever-shrinking pie, we need to have a unified voice instead of competing against one another for limited resources. For instance, if we all required that courts who refer mandated community service applicants to our agencies provide the funding necessary to fully vet, train and supervise these applicants, we might make some real changes in how court mandated service is assigned nationally. VPT: What advice do you have for new volunteer managers? L: After I moved to Connecticut, I remember talking to a volunteer I worked with in Pittsburgh and the volunteer said, “We want to work with staff who have drunk the Kool Aid.” If staff is unhappy, or does not believe in the work, then volunteers pick up on that. If an agency has a lot of turnover and has difficulty retaining paid staff, than recruiting and retaining volunteers may be an uphill battle. L: I would also say, make sure you connect with other volunteer managers in your area. I have learned so much from my colleagues. Just an hour spent talking with another volunteer coordinator over lunch or coffee can be invaluable. You can learn “It’s not just me…others have this problem too” Also, obtaining the CVA (certified volunteer administrator) is very helpful. I feel like the CVA credential has given me more of a standing in my organization. The CVA gives me ethical standards to adhere to and by virtue of my having it, my volunteer program is elevated. L: Also, you need to have rules and policies in place and stick to them. If someone wants you to waive the requirements for a new volunteer, remember this: There are bad actors who seek out vulnerable populations. This is why we don’t bend the rules. Make sure you have a volunteer manual, written policies, and an agreement letter for the volunteer to sign. VPT: What makes a difference for you? L: I feel blessed to do what I do. Yes, there are challenges, yes there are frustrations, but a well-run volunteer program can leverage the passion and talent of volunteers. L: I’ll leave you with my favorite story about a volunteer. Before I was at Phipps, I was in charge of an exhibition opening of student art work in Pittsburgh. The students, their parents and the artist they worked with were all on their way, along with a volunteer to help at the reception. Right before the event, we had a severe storm warning and most of our staff left the building. Meanwhile, our volunteer drove through the storm to be there. The kids and their parents all had a great time at the exhibition opening because the volunteer made a commitment and the storm wasn’t going to stop her from coming! That is just one of the stories that keeps me motivated and gets me up in the morning. VPT: Thank you Laura for your insights and for sharing with us today. We look forward to hearing more of your voice in the volunteer management arena.